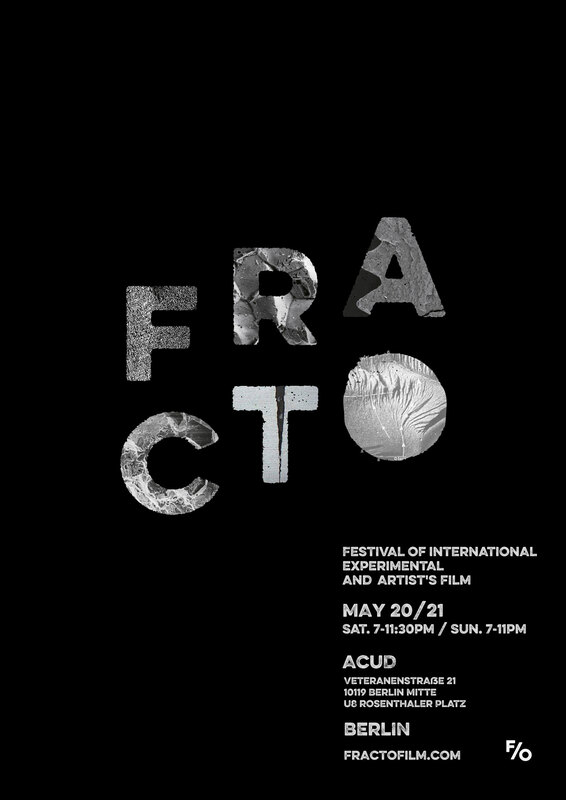 Fracto is a 2 day encounter inviting filmmakers to present their work and discuss contemporary means of audiovisual experimentation, on May 20th/21st at ACUD macht neu, Berlin. In times of ever-present cameras and a constant stream of seemingly self-propagating moving images we have become accustomed to a mediatized experience of reality, where time and space lose their coordinates. 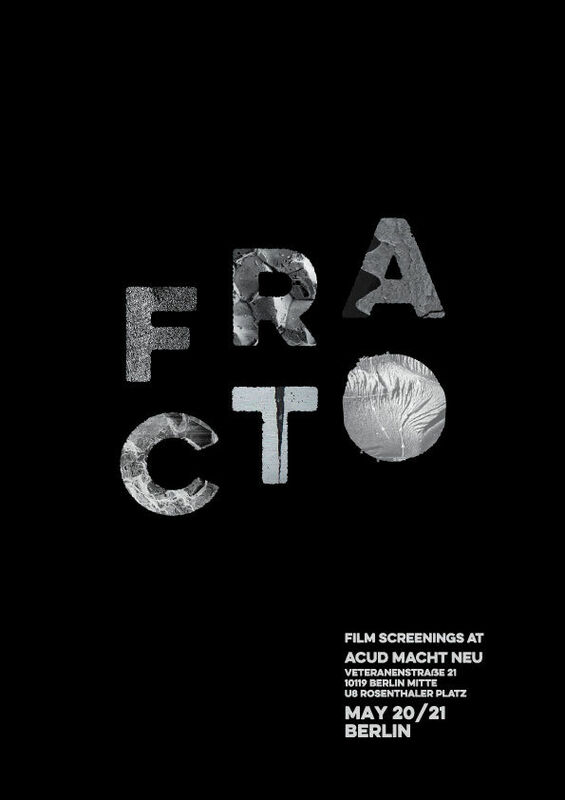 Exceeding an entirely negative conception of today’s perceptual landscape, how can the reconfiguration of audiovisual media and technologies therein be a productive foundation for new means of ever-changing and heterogeneous narratives? How can this landscape be reflected, dissolved or disrupted in film itself? What are the appropriate means of sorting and resetting these influences, and what – if any – other modes of representation emerge between mere categories of newness and obsolescence, documentary, fictional, poetic, latent or evident imagery?